Mature sporangia of a Stemonitis sp. 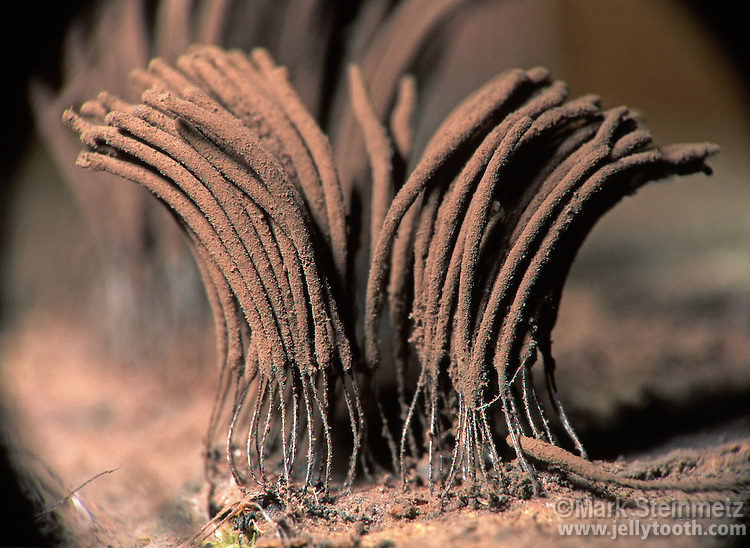 slime mold, common names include Chocolate Tube Slime, Tree Hair, and Pipe-Cleaner Slime. Central Ohio, USA. 2x at 35mm.